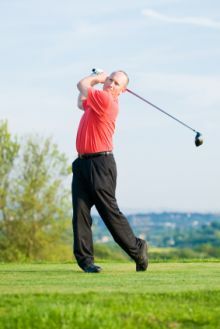 The following are links to physiotherapy and golf-related sites. While we try to provide as many helpful resources as we can, we do not endorse any of these content providers, nor can we be held responsible for their content, their website going down or other issues that may be encountered. Out of the Rough – Vim & Vigour magazine article on professional golfer Mike Weir’s recovery. Winter 2010 Edition of Vim & Vigor magazine is produced by St. Jospeh’s Health Care London and St. Joseph’s Health Care Foundation.